The Atmos Kiln Kit is the perfect choice for someone that is looking to inconspicuously vaporize waxy materials on the go. The Atmos Kiln cartridge utilizes an all ceramic heating chamber with a unique ceramic heating disc that evenly and efficiently vaporizes waxy materials to create a thick vapor that has an unprecedented quality of flavor. 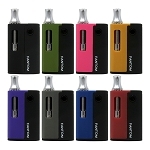 This vaporizer comes equipped with a 510-threaded lithium-ion battery with a spring loaded connector that creates a reliable link between the atomizer and battery contact. 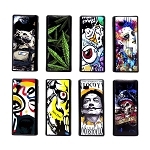 This battery also features a 950mAh capacity that should provide enough power to vape for days on end without needing a recharge, as vaporizing this type of material requires very little time and power.